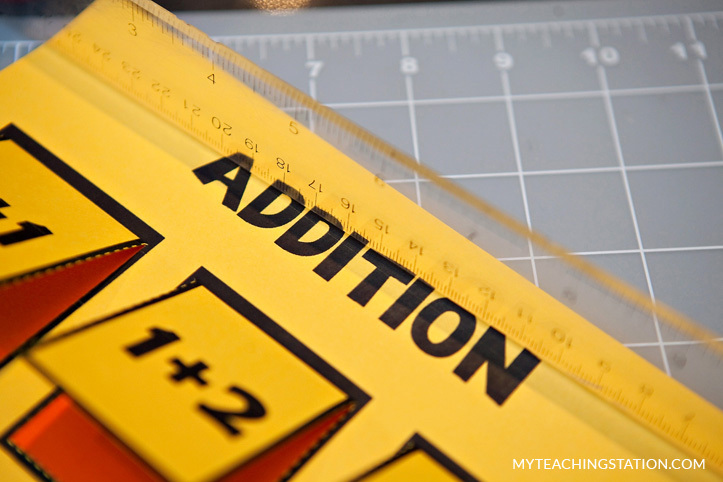 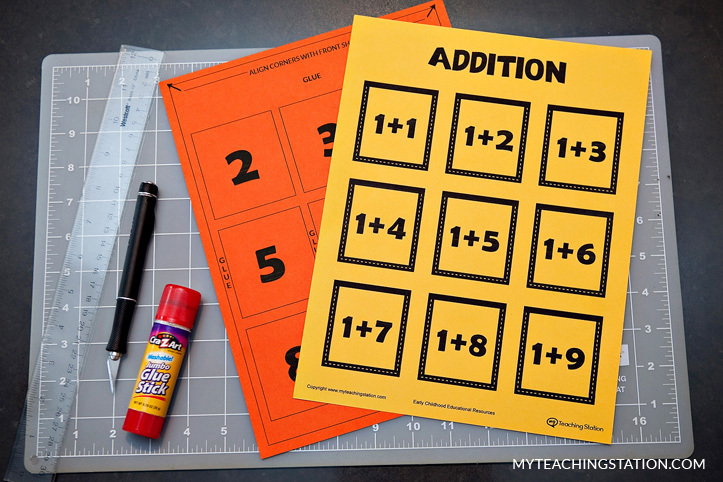 Practice addition with this super simple addition flip chart craft. 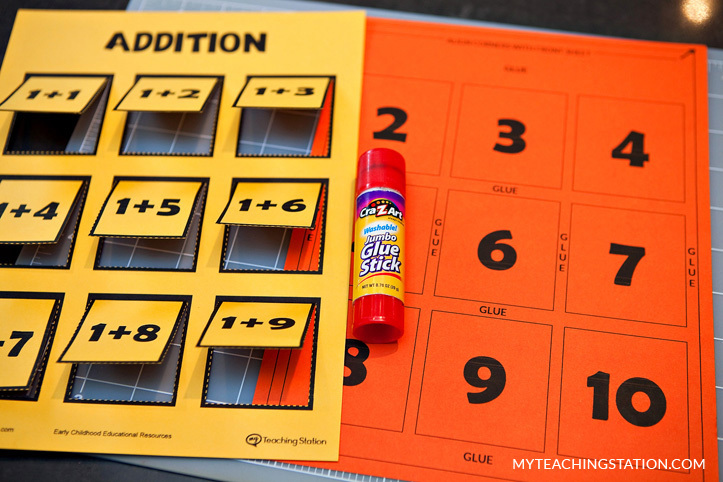 The answers are revealed behind each tab! 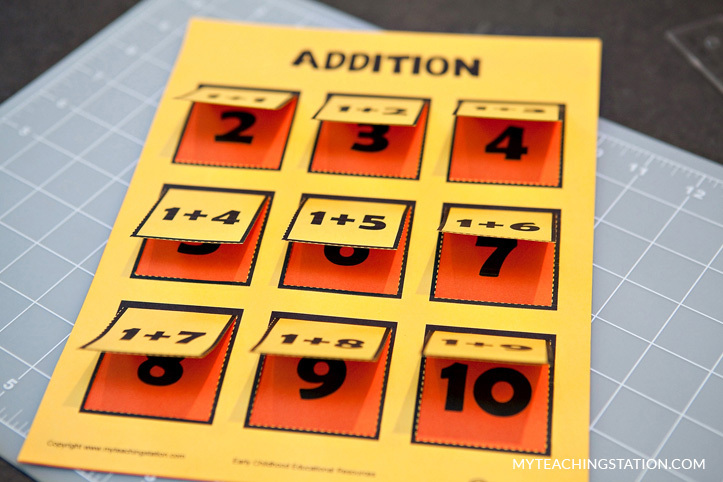 2 sheets of colored paper. 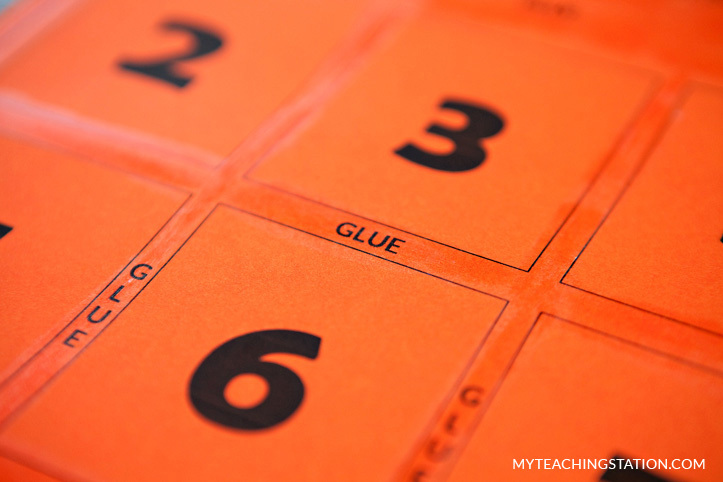 Download My Teaching Station Addition Flip Chart Template. 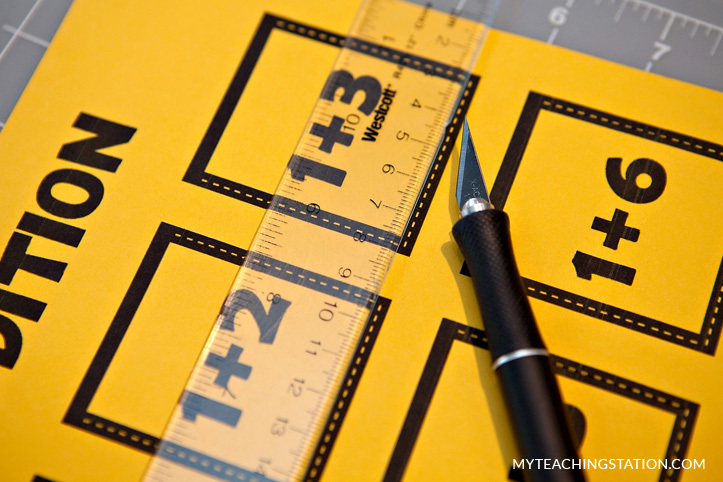 Place the ruler along the dashed lines to guide cutting the paper with the craft knife. 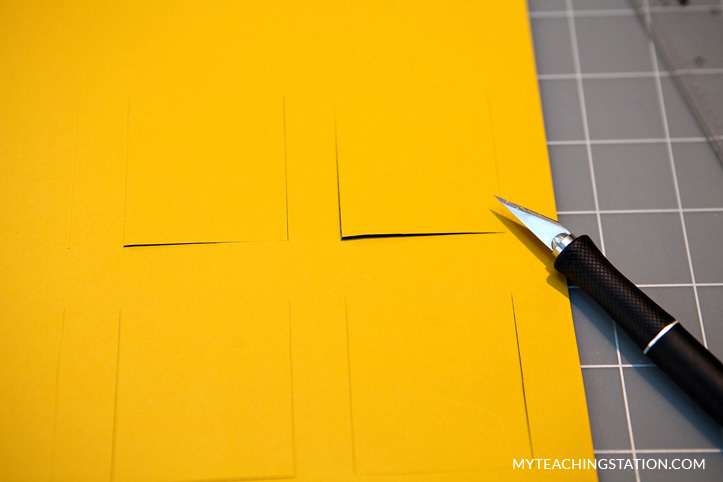 Cut the paper using craft knife along the dashed lines. 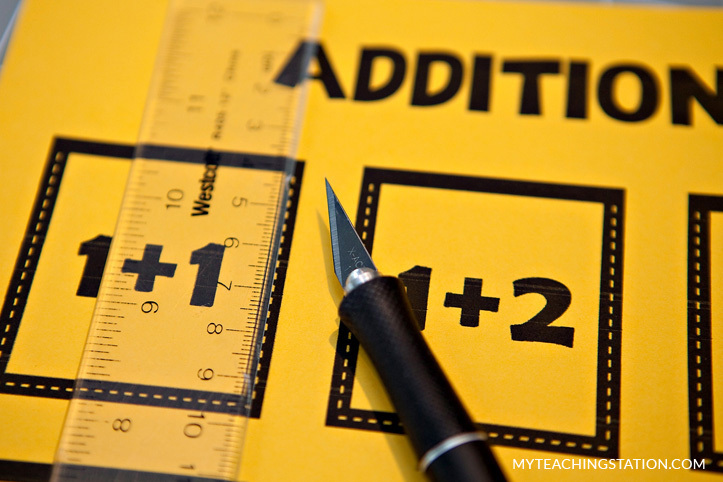 Place glue in the labeled areas. 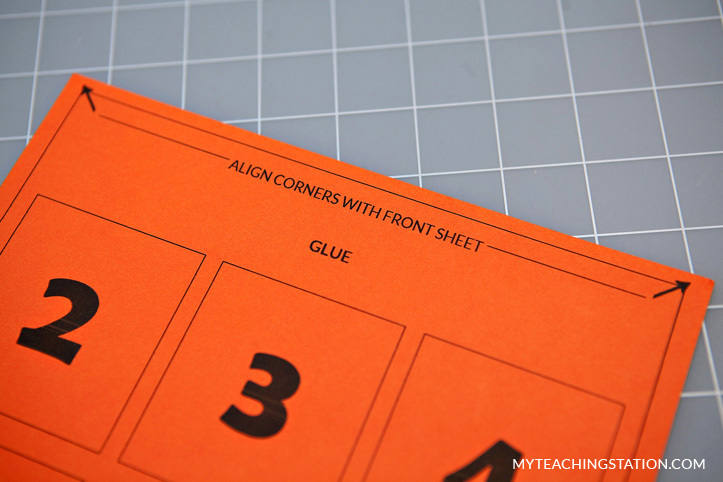 Align the top paper with the corners and attach it. 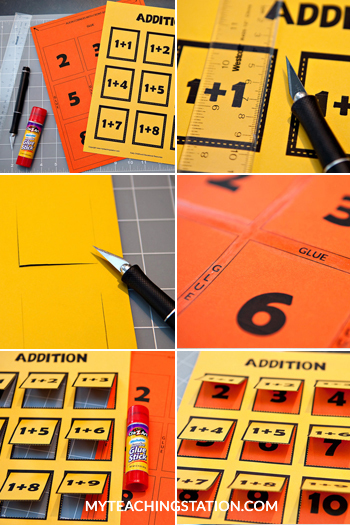 Use a ruler to guide flipping the cards if needed. 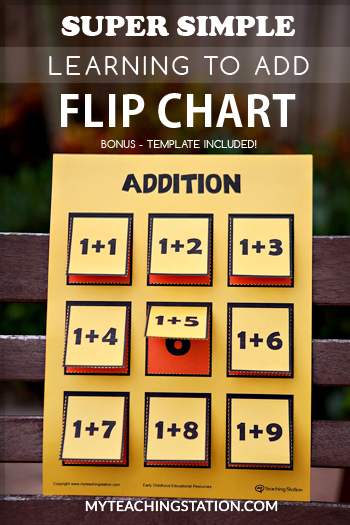 Super simple addition flip chart completed! 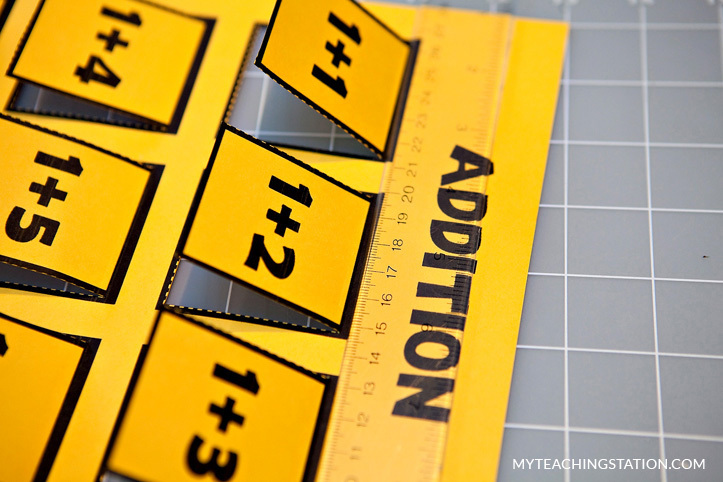 Ask the question and allow your child to check the answer behind the tab.